How long has Detroit's Halloween been in the heavy metal game? Almost 30 years now. 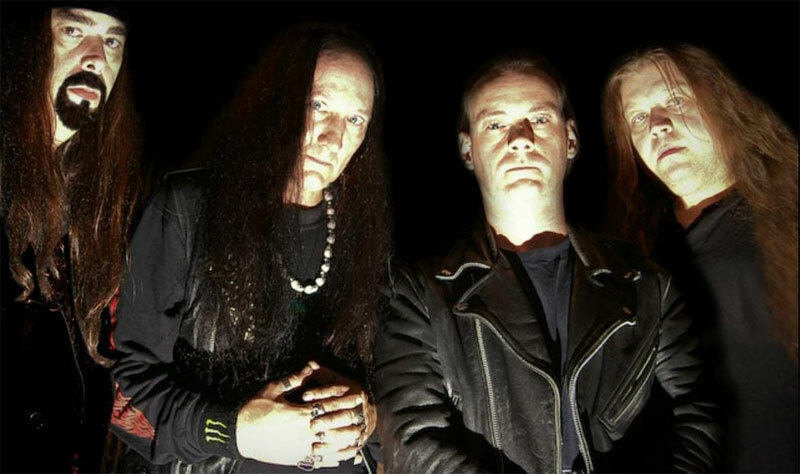 In this time they've released six studio albums of new material, with Terrortory the most recent. Also, only vocalist Brian Thomas bass player George Neal remain from the original line-up. What has changed is Halloween's basic commitment to fundamental and traditional heavy metal, with lyrical themes from the more spooky side of horror metal. Above, Halloween: in dark terrortory. With Terrortory, the traditional heavy metal fan gets their money's worth. This disc clocks in at over 70 minutes. This alone challenges one's patience, but so also does some the material. Not the least of which is the opening track, the rather unimpressive Traipsing Through the Blood. It's sounds distant, contrived, and tinny. Not exactly Halloween putting their best metal foot forward. At the Gates follows, a throw away segue. When do you get to the meat of this album? The title cut begins, and things improve exponentially. Images Quite Horrible is quintessential early Eighties metal; Her Ghost Comes Out to Play offers eerie atmosphere; and, Caught in the Webs moves at a near doom metal pace. Perhaps the best track is the most diverse, and certainly epic, Not One. Reinventing Fear offers better heaviness in another semi-plodding number. Hands Around My Throat, another top pick, finds Thomas' strong vocals working with some acoustic guitar; with the metal vibe and steady pace it adds creepiness to the lyrical content. Throughout, the album is peppered with sound guitar solos, and girded by a solid rhythm section. Halloween's Terrortory is extravagant, simply by virtue of its length. While there's much to enjoy, it sometimes sounds uneven. Maybe they should have reserved some material for another album, considering the more than scattered approach to output. Nevertheless, Terrortory is fundamental classic American heavy metal. Recommended. 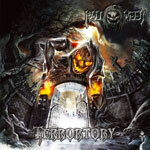 Halloween's Terrortory is extravagant, simply by it's length, and requires a patience listen for best enjoyment. Fundamentally, however, this is classic American heavy metal.